The location of the steel crop silo is decided by the in and out conveying rout. 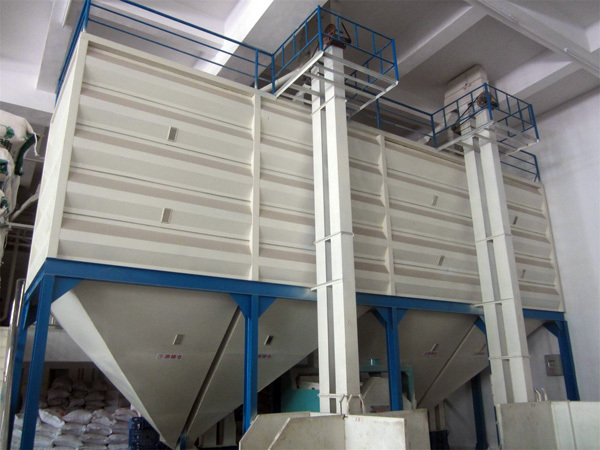 For example, grain dock shall have a good design for train or truck route, plus considering the grain processing factory location(Choose truck or belt conveying way). As an essential part of grain processing factory, the silo location design has to make sure no traffic jam would occur, thus the route has to be wide enough, circle route line is one perfect design, the good design standard is realize more functions with less equipments. Meet the requirements of design code for fire protection. Fire resistance rating of steel plate grain silo is grade 2, and fire fighting access has to be built between the connected grain silo groups, in each layer of working tower shall be designed with fire hydrant. Ourway international has been in the steel exporting business for more than 10 years, it is one trust-worthy mature trading company that you can find in China, we are also one experienced steel crop silo supplier, you can also purchase steel plates and any other steel part, standard steel plate product and requirements with your own designed drawing are both acceptable here.